A favorite of mine, that is both sweet and spicy! 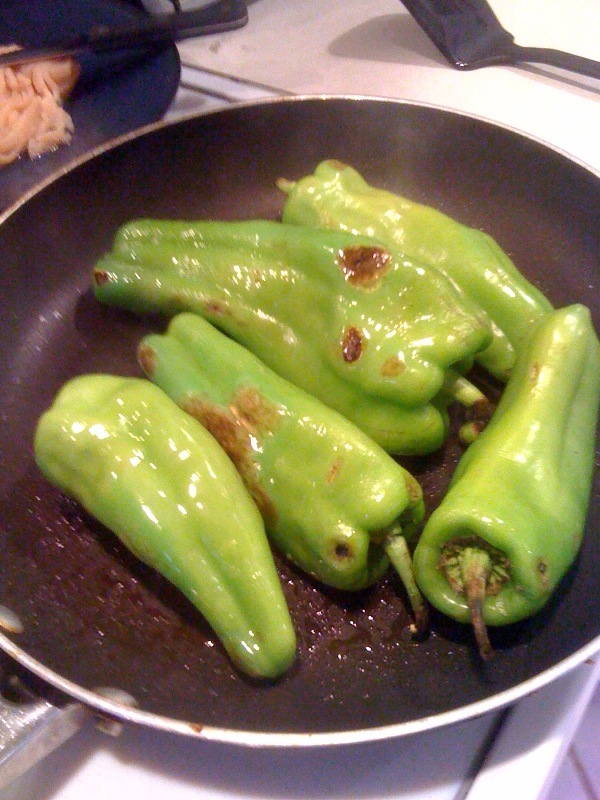 🙂 Pre heat oven 375 Use 5-6 large Cubanelle peppers and throw them in pan with olive oil on high heat and sear all over. Set aside to cool off….. Chop up one onion , 4 garlic cloves and olive oil…Cook 4 min. Add in ground chicken, cook until almost cooked thru. 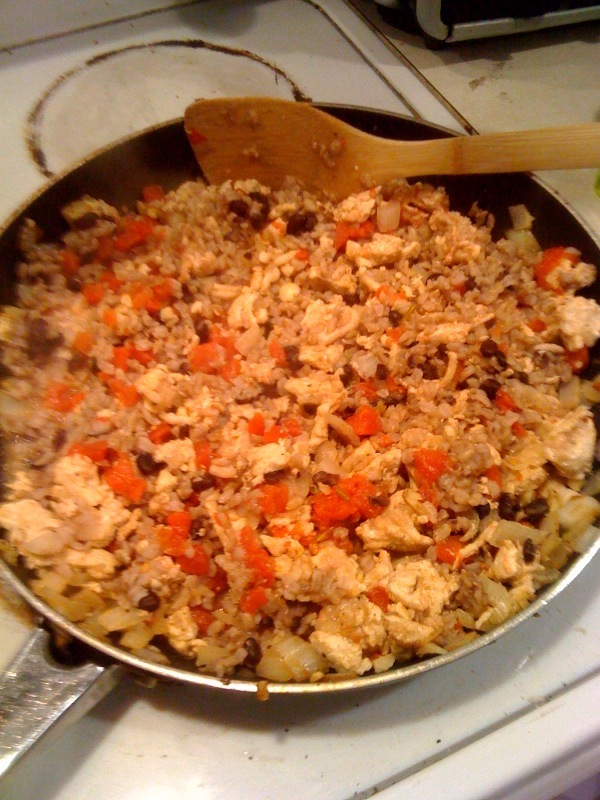 Add in 1 cup brown rice, 1/2 black beans, and 1 can of Rotelle tomatos. Heat thru and set aside. 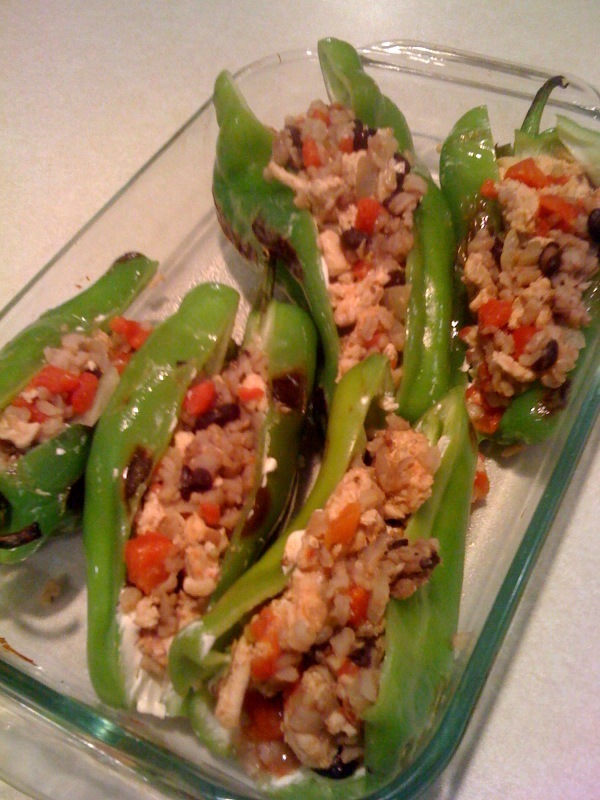 Cut thu peppers on one side and clean out the seeds. Spread 1-2 tbsp of low fat – fat free cream cheese. Stuff the stuffing in 🙂 Place in baking dish. Top with reduced fat cheddar cheese. Bake for 20 min. Top with low fat sour cream and enjoy! I think I might use the leftover stuffing to make burritos another nite this week. Using the leftover Turkey Tenderloin from the other nite, I’m going to make it a wrap for lunch today! Top with 3 thin slices of Turkey Tenderloin, And its a wrap! Goes great with sliced apples ( sprinkle with cinnamon) on the side or a bag of apple chips!